As you might already know, I’ve been in a long-term, committed relationship with my favorite essential oil company, Edens Garden. 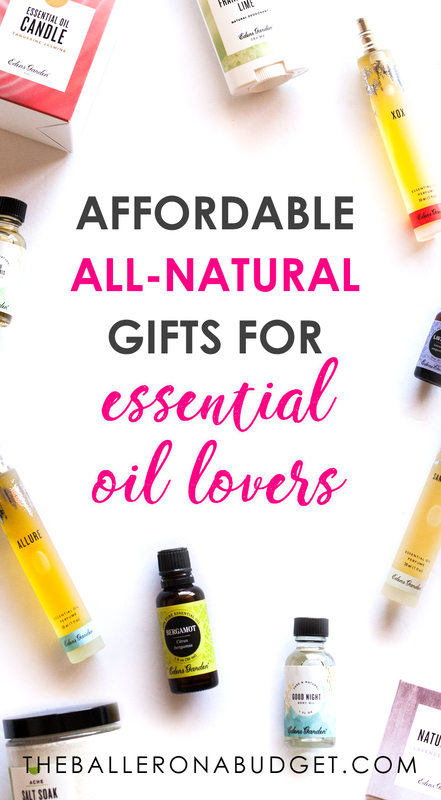 Ever since I stumbled upon the magic of essential oils years ago I was on the quest to find affordable high-quality ones – lo and behold, Edens Garden oils are comparable to the most popular oil brands on the market. In fact, they’ve been voted the #1 non-MLM essential oil company. I’ve been dreaming that they would create oil-infused products, and this year they’ve finally launched a variety of products for us oily folks to indulge in. From body care to home goods, here are my favorite Edens Garden gift ideas for your loved ones to have this holiday season. Artificial fragrances in regular perfumes are more often than not rejected by the 400+ olfactory receptors in your nose. This is why most people can get headaches, sneezing, dizziness towards some perfumes, and also why your favorite perfumes smell less potent the more you wear them (this is why Grandma wears too much perfume – she can’t smell it!). By using Edens Garden essential oil-based perfumes, you won’t get headaches or dizziness from your favorite scents. And as a bonus, the aroma won’t become less fragrant the more you wear it. Some people have written reviews on the EG website saying they’ve gone swimming in the pool and could still smell the scent. I’ve worn these scents all day and Jun has told me he can still smell it even in the evening. Here are all the perfume scents to date. There’s one for every person on your gift list! Allure: Woodsy, but light. Think patchouli, but mixed with florals. Lavender Magnolia: My personal favorite. Lightly floral, sweet, subtle and calming. Rose Bergamot: Rose balanced with patchouli and bergamot. A rose fragrance for people who don’t like strong floral scents. Shine: A very citrusy, fruity, juicy scent, balanced with earthy notes for a fresh and youthful but not “childish” scent. Uplifting on the mood. Vanilla Sandalwood: Warm, luscious, sensual and yummy. XOXO: Warm, spicy and sensual. I highly recommend body oils for gifts for people who new to natural beauty or essential oils. Edens Garden Body Oils can be used as a body moisturizer, facial moisturizer, hair oil and much more (you can read more about it on my last blog post Edens Garden Body Oil: The Only Natural Beauty Multi-Tasker You Need). You can get them in 1 oz. for $8.95 or a full-sized 4 oz. bottle for $29.95. 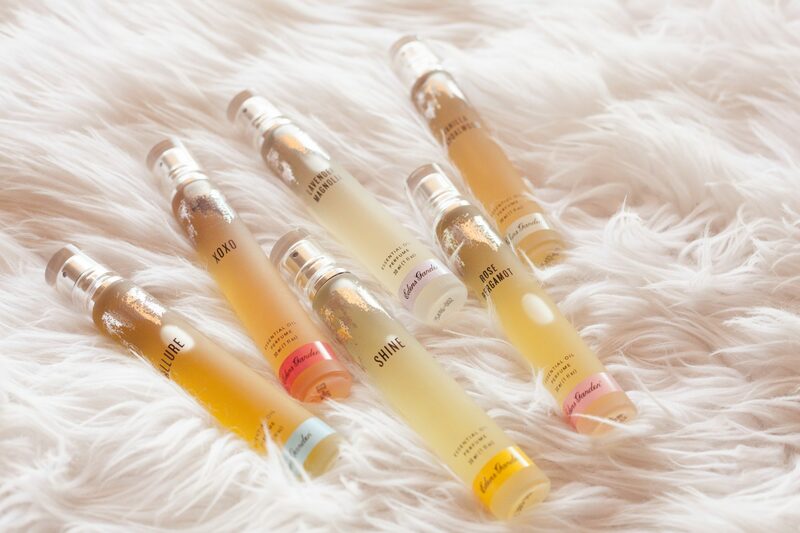 I highly recommend getting the Body Oil Set or Create Your Own Body Oil 5-Set so you can save some money and gift individual bottles as stocking stuffers. If you follow my stories on Instagram you probably know that I’m obsessed with candles. No, really. I’m a sucker for a candle with an amazing scent throw, and even more if the candle is essential-oil based. I’ve been using other natural candle brands and patiently waiting for Edens Garden to make their own, and the time has finally come! I was tempted to grab the entire Edens Garden Candle Collection but limited myself to 3 since I have so many at home. Now I regret it because I want to throw all my old candles out and buy 3 of every Edens Garden candle (and maybe 20 of my favorite Lavender Magnolia). 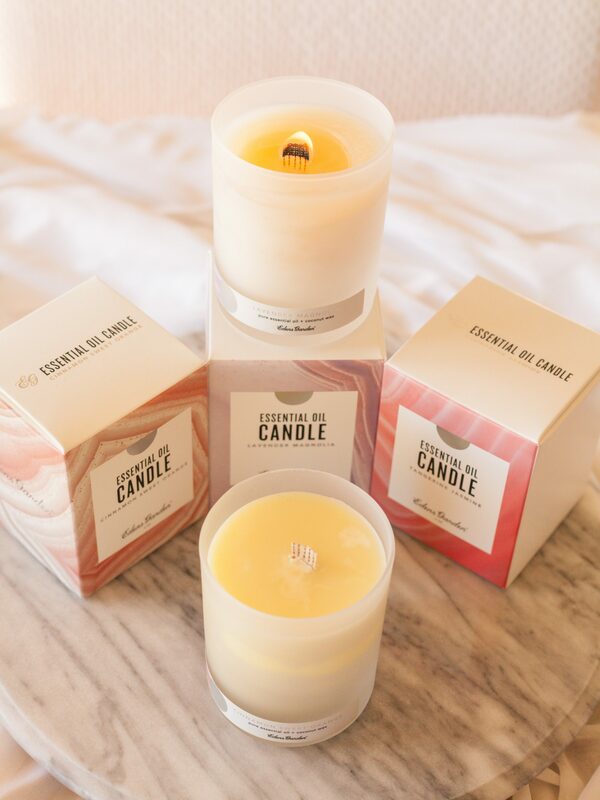 EG candles are also made with clean-burning coconut wax, so you don’t have to worry about emitting harmful and non-sustainable chemicals into the air. And don’t say I told you, but I love using the warm wax as a hand moisturizer. I bet you could even go as far as using it as a warm massage oil. Sure, they’re not as cheap as the large fake-smelling $15 Yankee candles you can get at any department store, but they’re much healthier to burn and still way more affordable than most non-toxic, powerfully-scented candles on the market. It’s worth the $25. And you can save money by getting the Candle 3 Set, the Create Your Own Candle 3 Set, or if you plan on getting some soaps and salt soaks, the Mix N’ Match Set gives the most bang for your buck. Maybe your friends or family work in an office and need a little midday aromatherapy pick-me-up, but they can’t use candles. The Room Sprays Collection just recently launched, and now you can enjoy the same home fragrances without the potential fire hazard. Your loved ones can keep these on their desk and spray as needed! Many harmful chemicals found in deodorants such as aluminum have been proven to cause health issues like as Alzheimer’s and other degenerative diseases. I’ve been very concerned about my future health and have tried so many natural deodorants but none fit the bill. They either did not mask the odor or burned my underarms with too much baking soda. Needless to say, I’ve been using Edens Garden Deodorant for over a month now and have no burned underarms or smelly pits to show for it! Their deodorants do not contain any baking soda, so if you get burned from natural deodorants just like me, you’re in the clear with this one. 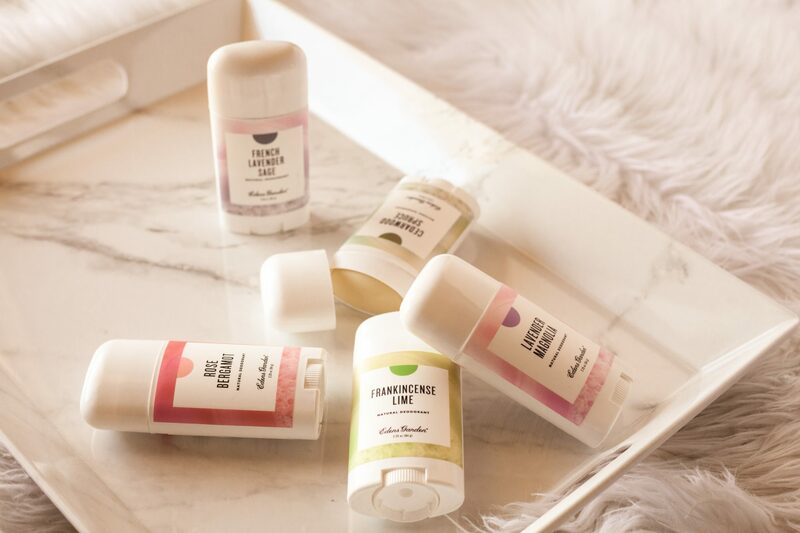 They also use a lot of shea butter and coconut oil in this formula, so the deodorant glides on easily and not chalky like most natural deodorants do. Trust me, trying to rub dry deodorant on sensitive armpits is a very uncomfortable feeling. My favorite scent out of their deodorants so far has to be Frankincense Lime. At first I was skeptical since Frankincense has such a very earthy and biblical scent, but it smells so crisp and citrusy and counteracts odors so well. You also get the therapeutic benefits of Frankincense from skin contact, so that’s a major selling point on these deodorants! The other scents are also just as beautiful and I truly did not find one I haven’t liked. If you can’t pick just one, you can also save some money and create your own set of 3. You can get one for yourself and have extras to give for gifts! Think: stocking stuffers. I really enjoy the therapeutic benefits of the Salt Soaks line: Yuzu Cannabliss helps with aches and pains and Fighting Five is great for when you feel you’ve got a cold coming, or if you already have one. And the salt soaks aren’t just for the bathtub: you can also use them as a dry scrub before turning the water on in the shower to get a nice body buff treatment that would normally cost you $80+ at a spa. Trust me, I used to do these treatments at my spa years ago! 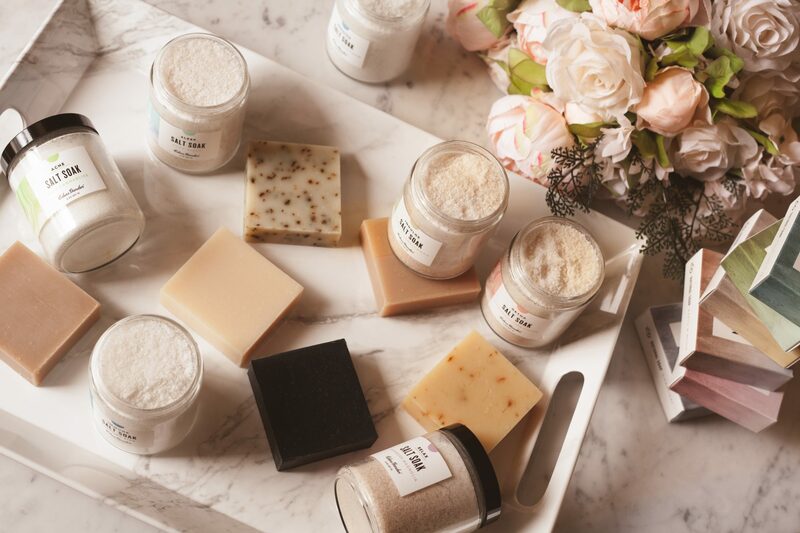 You can read more about the many ways to use these salt soaks on this blog post: Easily Transform Your Daily Shower Into an At-Home Spa Ritual. There’s also something about a good bar soap that totally transforms the normal shower experience. EG Bar Soaps are so potently-scented that you can smell the aroma wafting outside the bathroom and into the hallway. 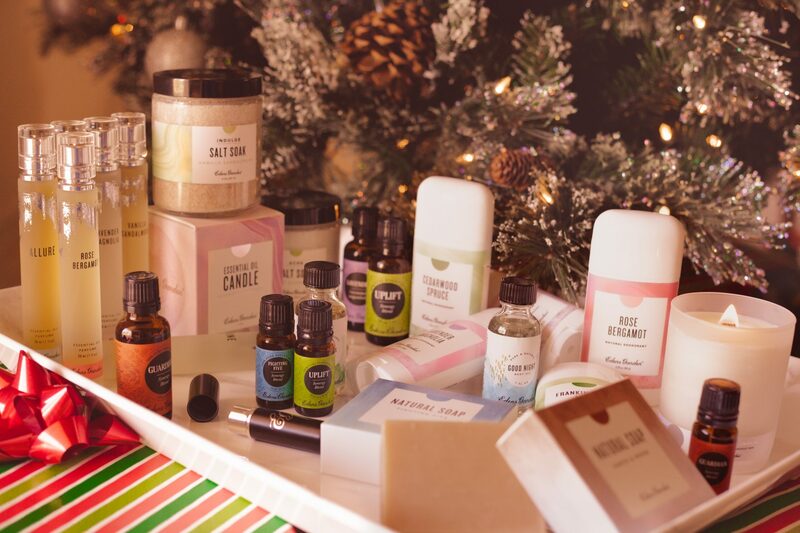 Of course, if your friends and family are simplistic and prefer to use their essential oils completely unadulterated, you can always grab some single oils, Synergy Blends or even get them a gift set. Don’t forget that while you can grab the curated sets, you can also create your own set to save money and use the individual bottles as stocking stuffers. Additionally, you can always choose to gift an oil diffuser if your recipient already has all the oils they need. Pick from the beautiful ceramic ultrasonic diffusers to spruce up an office table or a personal pocket inhaler for the busybody that’s always on the go. Edens Garden is also doing a new sale every day until the 17th (you can check out the daily deal here). Are you thinking of grabbing some Edens Garden to give as gifts or for yourself? 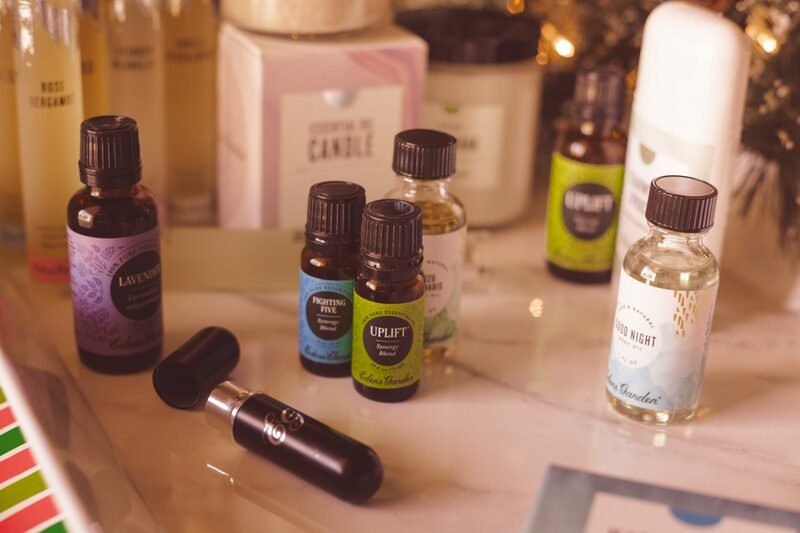 Tell me your favorite picks in the comments below and don’t forget to subscribe to my newsletter for more affordable natural remedies and holiday gift ideas.